FICOP is a common platform of FOTON and IRISA laboratories dedicated to high-data rate optical communications. 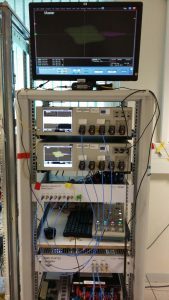 This platform combines the optical communication skills of the FOTON laboratory and the signal processing and real-time FPGA implementation skills of the IRISA laboratory. 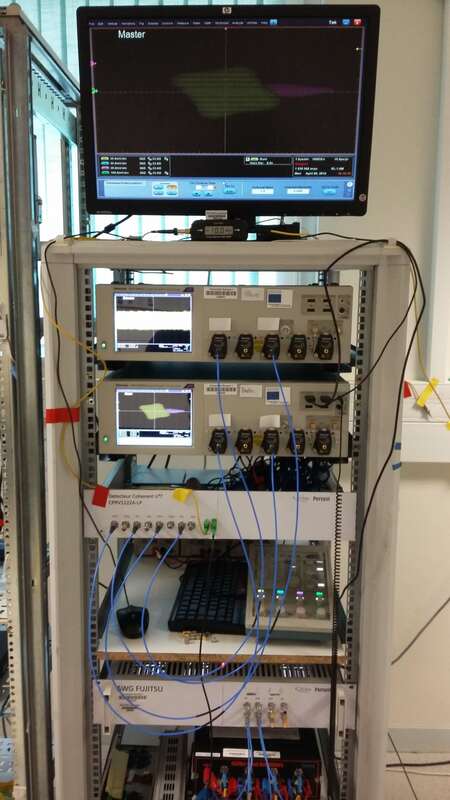 The platform relies on the latest generation instruments (33 GHz oscilloscope, AWG 92 Gsps). Those equipments were financed by the Brittany region and European funds FEDER (http://europe.bzh).